There are several steps and precautions to take when applying for a high-risk auto loan. Valley Auto Loans discusses these steps in detail through their newest blog entry. Navigating the ups and downs of auto loans can be very difficult for those who have not had to use an auto loan in the past. When applying for a high-risk auto loan, the risks are much higher. Valley Auto Loans continuously posts new articles in their advice column, to help their applicants, visitors, and readers to better understand the financial industry. Their most recently released article is titled “Things to do Before Applying for a High Risk Auto Loan” and can be read at the Valley Auto Loans’ Blog here: High Risk Loan Advice. Valley Auto Loans is truly a unique company. Their auto lending business has been recognized as one of the greatest and most caring auto loan providers on the Internet. They have the unique ability to provide auto loans to nearly all of their applicants, including those with bad credit scores. In fact Valley Auto Loans focuses on those with bad credit scores, as their main goal has always been to help their applicants as much as possible. Visit Valley Auto Loans today to learn more. 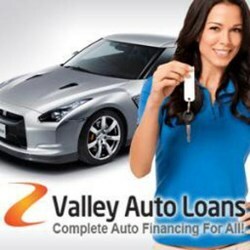 http://valleyautoloan.com/ is the leading auto and cars finance provider in USA fully dedicated to help its customers acquire national car and auto financing. They design and develop customized no credit auto and car financing, bad and good credit auto and car loans. Voted the best for "Quality Customer Service; Best National Auto Loans Service" by thousands of people, their finance experts focus in providing its customers information and various tools available for different auto loan offers, help them to choose the best that fits their budget as well as the related eligibility guidelines in detail.